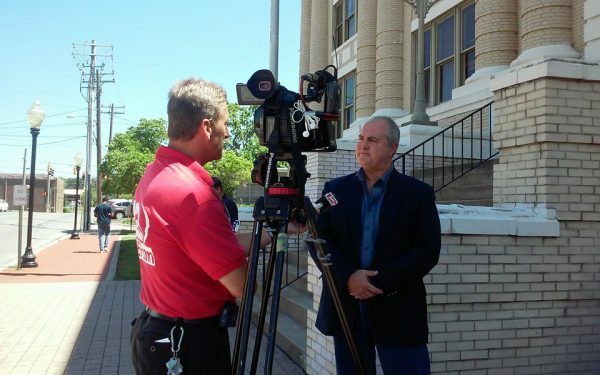 On the last day of June, Perry Lamb cut a check to Walker County for $3,412 – his qualification fee to be an independent candidate for Commissioner in November. 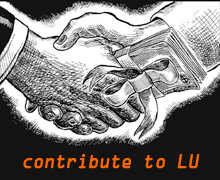 Today Lamb will submit a petition signed by over 2,100 people to the elections office. If the elections committee certifies 1,650 of those signers as registered Walker County voters, Lamb’s candidacy will become official. That adds his name to the fall ballot against incumbent commissioner Bebe Heiskell and Republican challenger Shannon Whitfield. For once, voters won’t have to hold their nose and vote for a flawed candidate just because he’s the only one running against Bebe. Lamb’s efforts to run outside the party structure mean voters will have real choices to pick from, not just the lesser of two evils. 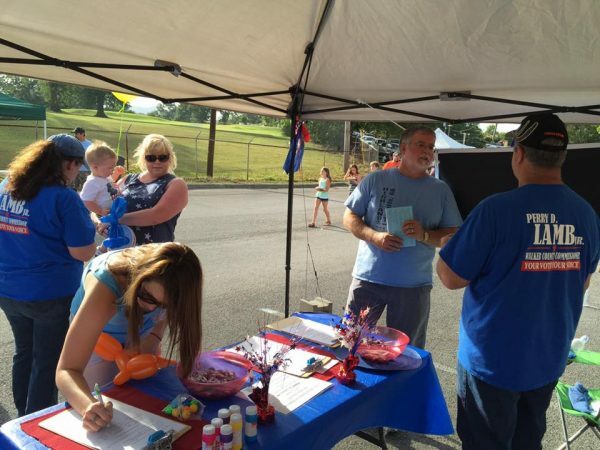 About 200 of Lamb’s signatures were collected during LaFayette Freedom Festival on July 4th. Lamb met voters face to face during that event, shaking hands and answering questions while gathering more signatures and general support. Commissioner Heiskell wasn’t there, in body or spirit. Candidate Whitfield had a tent and spokesmen present, but couldn’t be bothered to show up himself. A Whitfield mouthpiece later said their candidate was out of town all last week for an important family matter, and was still out of town Saturday during a candidate forum at Cedar Grove Community Center that was attended by both Lamb and Commissioner Heiskell. 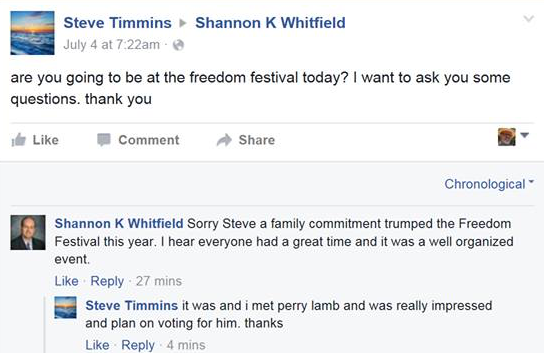 Nobody can fault Whitfield for prioritizing his family, especially during a holiday week, but Team Whitfield has yet to explain OTHER community events and meetings he’s missed this summer, in Rossville, Villanow, Hinkle, and Fort Oglethorpe – all attended by Perry Lamb. 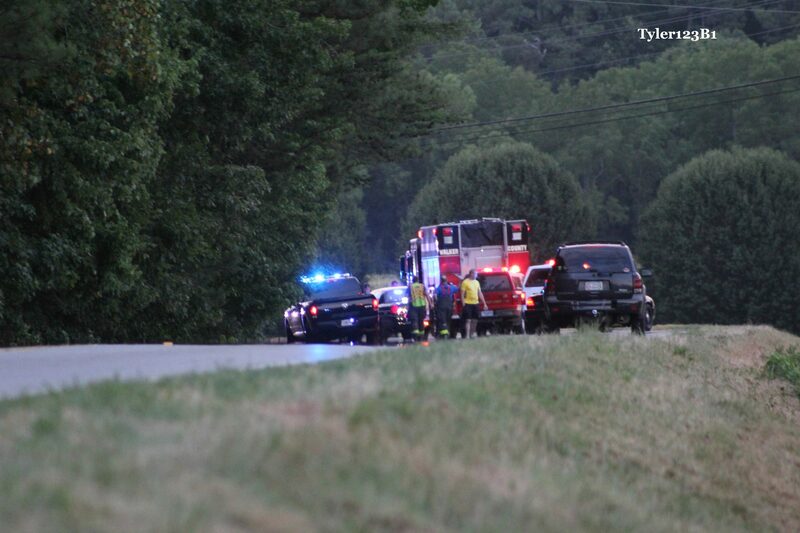 Thursday evening GA 151 near 95 in Catlett/Chestnut Flat was shut down due to a tragic accident. 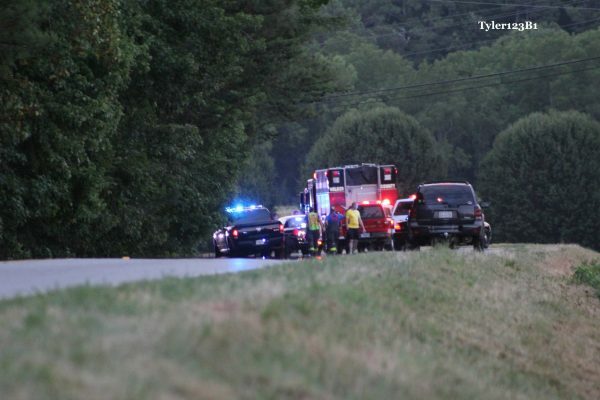 Emergency responders arrived to find motorcyclist Andre Stevens, 34, of Ringgold, dead on the scene. Stevens was in a group of three cyclist and wiped out on a curve, then was struck by a truck. The cycle’s fuel tank leaked and caught the grass on fire beside the road. A woman and child in the truck were treated for minor injuries. Thousands of LaFayette electric customers were in the dark for around eight hours on Saturday morning after storms knocked a tree down on a major power line. City crews worked from about 2 AM to 9:30 AM Saturday to restore electric service; most of those impacted live inside city limits and were none too happy about being left in the hot dark. Before the room was completely dark, city residents began calling 911 to report the outage and ask when service would be restored. For lack of anything better to do, those calls continued all night and disrupted regular 911 operations for the duration of the blackout. Michael James Gobert, convicted of killing JJ Montgomery last fall, has been sentenced to life in prison without possibility of parole. The 52-year-old killed Montgomery on his Straight Gut Rd. property in October after a conflict involving Montgomery, several friends, and Gobert’s adult daughter. Gobert’s lawyers argued self defense, but a jury rejected that position – probably because Montgomery and two friends were in a car trying to drive away when Gobert emptied his gun into the vehicle. The spray of fire hit two men, and one – Montgomery – did not survive. 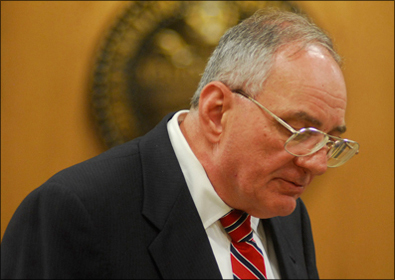 During the last week of June, judge Van Pelt decided not to allow Gobert a chance at freedom after thirty years behind bars, at which point he’ll be 82. Despite confusion over the state’s rapidly changing fireworks laws (Thanks, Jeff Mullis! ), LaFayette’s 4th of July weekend went smoothly with no reported incidents of violence, fire, or injuries. July 4 Fireworks 2016. Be sure and go to settings and turn on HD. LaFayette’s first Independence Day marathon – Freedom Fest 5K – also went off without a hitch. About 100 people participated in the marathon and walk, with proceeds benefitting track and cross-country programs at LHS. 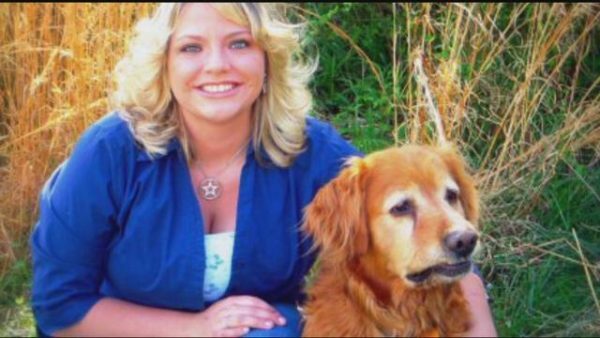 Kimberly Dotson of Ringgold went for a walk on June 30th and never came home. Now a Chattanooga drunk is in jail, accused of running Dotson down and taking the 28-year-old’s life. Georgia State Patrol investigators say Tyler Alexander Lemley, 20, was on his way from Signal Mountain to visit a girlfriend when he drunkenly hit Ms. Dotson on the side of Sam Lewis Rd. He’s in the Catoosa jail facing charges of DUI, drug possession, no insurance, no headlights, driving on the wrong side of the road – and homicide by vehicle. Eight Georgia prisons are on lockdown, no outside visitors allowed, after a spate of violence and at least one murder behind bars. State authorities say the problems are gang related and think inmates may be coordinating their actions behind bars with smuggled phones. Hays State Prison, which isn’t involved in the lockdown (yet) has a new warden. Kevin Sprayberry, who moved through the ranks at GA Department of Corrections inside Hays and Walker State Prison, is the Trion prison’s new head. He’s most recently been the warden of Calhoun State Prison. As you dodge potholes around the county, take time and thank the woman most responsible for the condition of local roads. But man is the driveway nice at Mountain Cove Farms. Tennessee’s highest court has affirmed the murder conviction of Howard Hawk Willis. 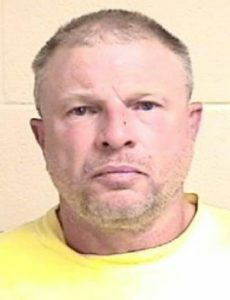 Willis kidnapped and murdered a teenage Chickamauga couple – Adam and Samantha Chrismer – in Tennessee back in 2002; he was originally convicted of the crime and sentenced to death in 2010. Walker County jail bookings: June 23-29, June 27-July 3. Demolition of buildings on the Gordon Lee campus will delay Chickamauga schools’ first day by two weeks, from August 10 to August 24. Students in Walker County outside Chickamauga will start back as scheduled, on August 3rd – less than four weeks away. 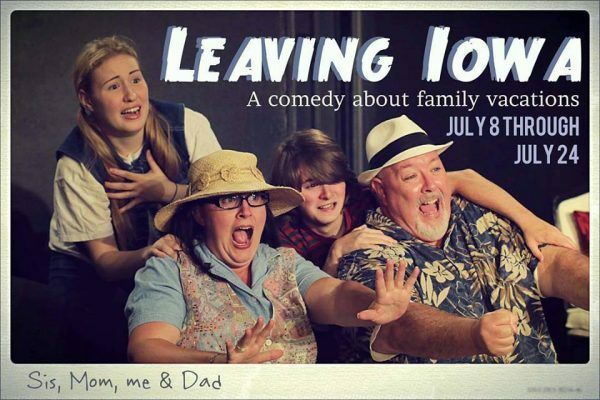 “Leaving Iowa” premiered last Friday night at Mars Theater. Back Alley Productions’ comedy play will run weekends through July 24th.